This was supposed to have been the pocket I used to introduce yokes - it is flat and has a single pleat. Easy, and neat. Instead I ended up taking all my photos of that other more fiddly pocket. As a result of that mixup, there are - ack - very few photos in this post. In their place, you get some bland commentary. It must be your lucky day! Not. Right, so these are the kinds of pockets you find on safari suits and maybe moonlighting as cargo pockets on a diet. We make them because we want a roomy pocket that lies flat when it is empty and doesn't gape open. 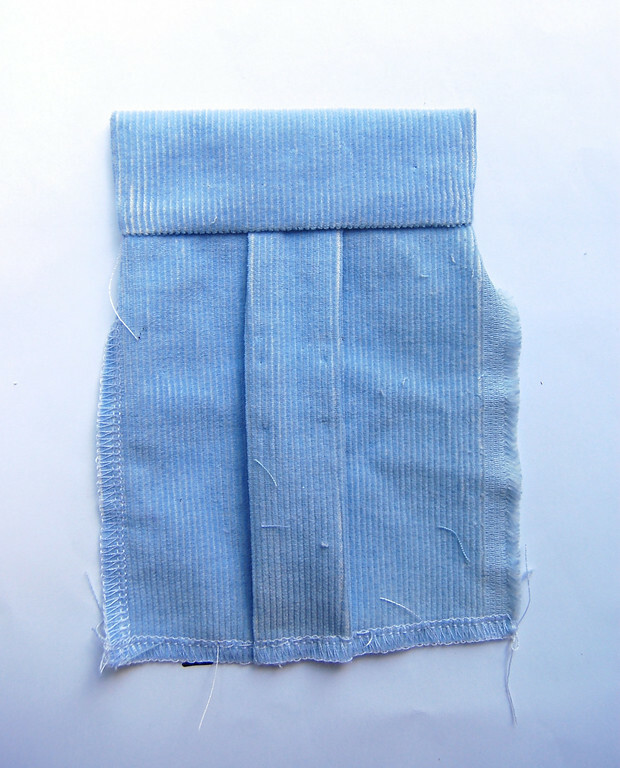 Start with your main pocket piece, pleated to its finished size (plus serged seam allowances). 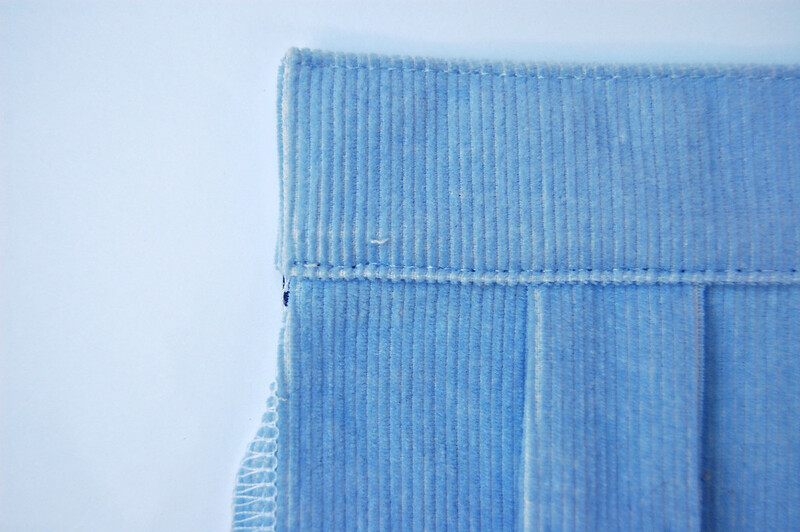 Look - I was so lazy that I left the selvedge in on the right side, just so I didn't have to serge it. 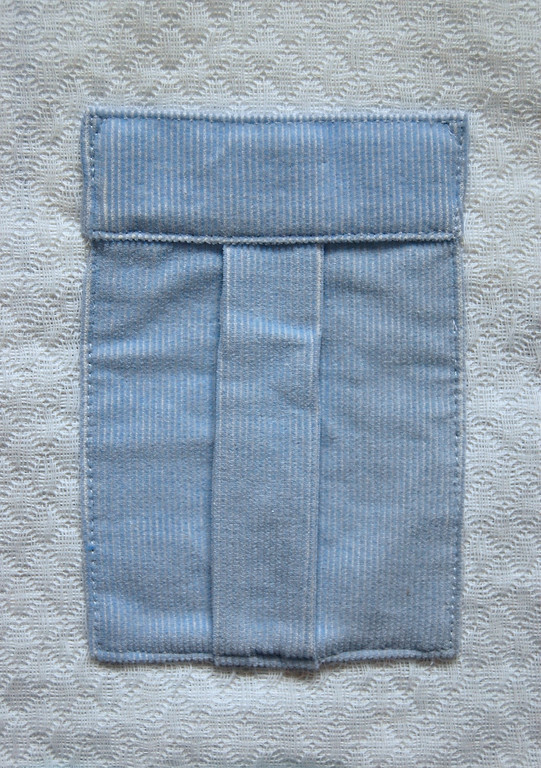 You'll also need a little yoke piece that's the same width as the finished pocket, and twice the height (so it can be folded over). 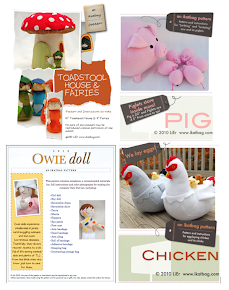 Attach the yoke - see the previous post for the how to. Top-stitch the yoke for decorative effect. 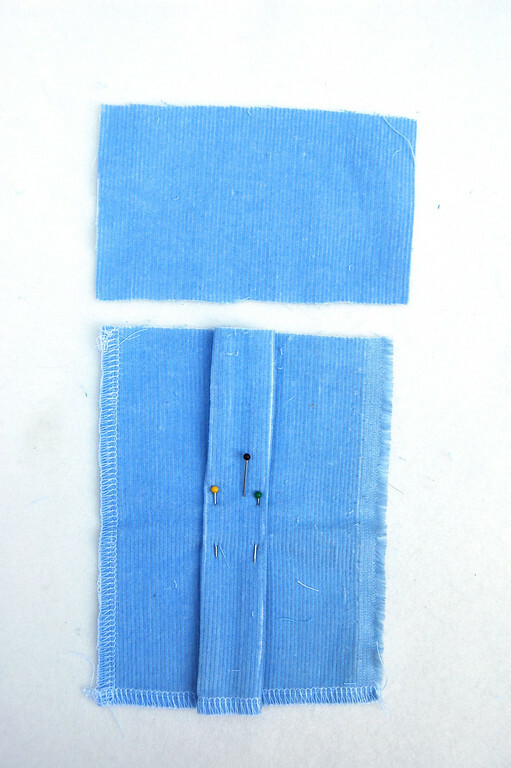 Then fold in and top-stitch the sides and bottom edge onto the garment. Note: I am not doing a tutorial on cargo pockets. Main reason is that there are tutorials on the internet already. Also I cannot envision myself making a garment needing cargo pockets, in the next 5 years, at least. I do use a lot of roomy and/or gusset-type pockets in my bags and backpacks, some cargo-like and some zippered. They would look hideous on clothes, but on their own are interesting enough to have their own post later on. Cargo pockets! Cargo pockets! That's what I need to solve my current dilemma in pocketbooks! 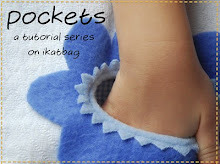 What a great idea to hose a series on different pockets. I'm enjoying this a lot. Thanks!